This whole Obamacare idea of requiring everyone to have health insurance or be fined for not having it, doesn't seem to have anything to do with healthcare reform or making health care affordable. In fact, I have a friend who was quoted over $900/month for insurance - not remotely affordable. True healthcare reform would mean that doctors, hospitals, and clinics would be required to charge reasonable fees - to everyone. The biggest step in moving toward in true healthcare reform seems to be a requirement for reasonable charges and fees - not a requirement for those in need of healthcare, but a requirement for those providing it. It's crazy how much a basic doctor visit or lab test can cost! But that's not the craziest part. The craziest part is that they charge those ridiculous amounts, then, if you have insurance, the insurance company looks at the charges and says, "No, that procedure or visit should only cost this small fraction of the original charge. That's all we will pay." 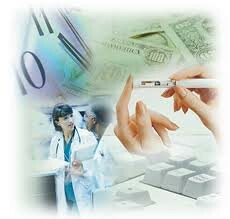 And that's that - the doctor, hospital or lab gets paid what the insurance company says they get paid. Example: We got a recent bill for some kind of lab tests. For some reason, the lab hadn't gotten the insurance information, so they billed $70. We didn't pay that. We gave them the insurance information, and the end result was that the insurance company disallowed basically $60 of the original $70 and paid the lab $9 and something. And that was that. But why do we even need insurance companies for this? If the lab would simply charge about $10 in the first place, most people could afford that. (especially if they're not forced to pay money they don't have to get insurance in the first place) And for those who can't afford even that, those subsidies the government is supposed to provide would go a lot further if they would go toward providing actual care instead of paying some insurance company. Doctors and hospitals should have to make their costs and fees for everything public, so people could look at them ahead of time and be able to choose a provider based on cost, if that's what they want to do. Where else do we 'buy' something without knowing beforehand what it is going to cost us? Groceries, clothes, cars, houses, etc. We get to decide ahead of time what we are going to buy and what we can and cannot afford (never mind the over-use of credit cards) because we are given the prices and costs up front. But go to the doctor, and that cost is always a surprise after the fact, and even if we did know ahead of time, who knows what a normal and reasonable cost is. Is this doctor charging me more than the one down the street? Is this charge reasonable or maybe an extremely good deal? There's no way to know.